MagWedge AR15 Magazine Couplers Deep Grooves – Joins two 10 round LAR15 mags together to give you a shape identical to a 30 round magazine; high quality aluminum with hard coat anodize finish. New M5 screw offers better retention of magazines. Best used on LAR magazines which have a slight curve near the base (type 1). 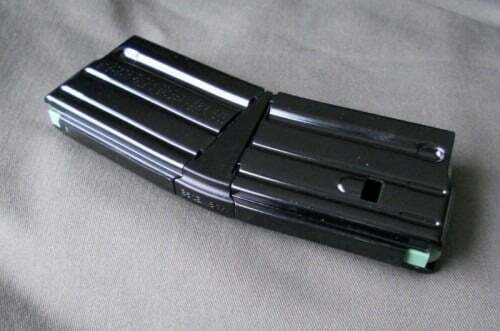 Deeper groove means that the inexpensive European made LAR15 mags will fit without issue. Couplers will of course fit all other makes of LAR mags of this type.